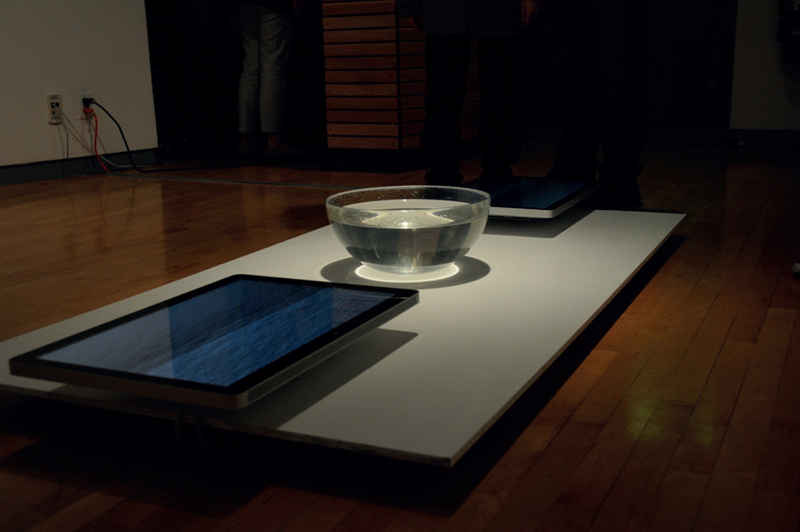 The ” Water Project ” is a video installation in which a physical drip of water triggers a glitch in a digital image file of the sea. 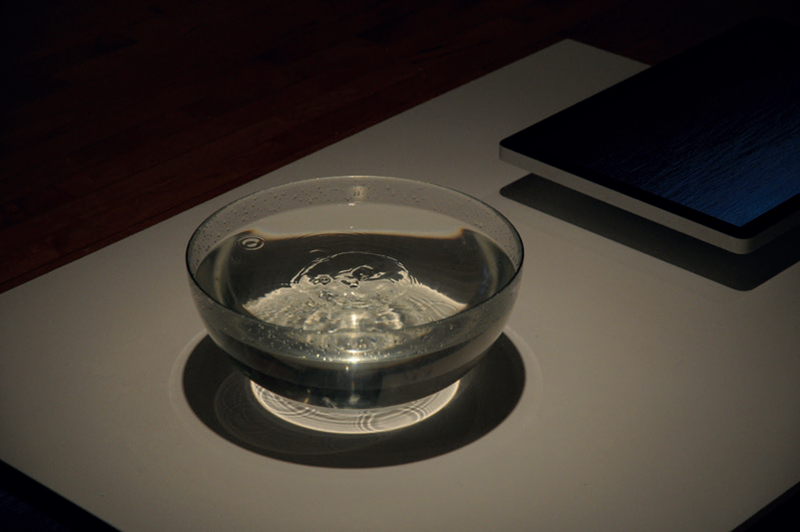 Digital representations and spectacular images from screens are highly suspect and unreliable to some degree. However, people are growing ever more attached to screens, and they experience intimacy in a virtual world rather than the real world. It is interesting to explore the fragile connection between those two worlds.